(+$45.00) Custom engraved placards are self-adhesive and measure 2"W x 0.625"H x 0.25"D that can be custom engraved as you specify. 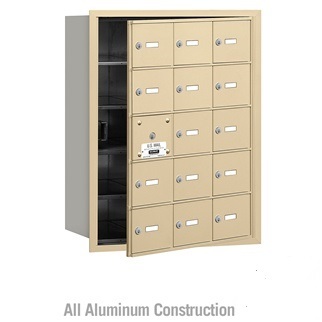 (+$80.00) Custom engraved door identification for the 3600 series horizontal mailboxes can be customized according to your requirements. 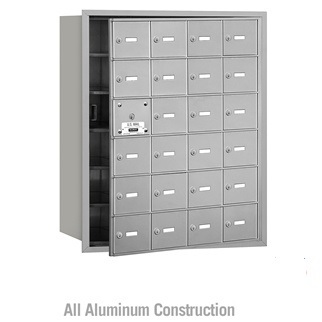 Custom engraved door characters will be silver in color because 3600 series horizontal mailboxes are fabricated from aluminum. (+$80.00) Custom black filled engraving is viewed by many as the most attractive door identification option. The mailbox door characters are engraved to your requirements and then each character is filled with black ink to accentuate the door identification. 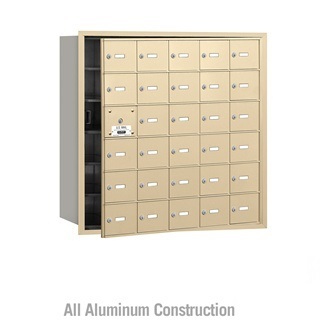 (STANDARD) Front loading horizontal mailboxes require one door to be reserved for the delivery agent. 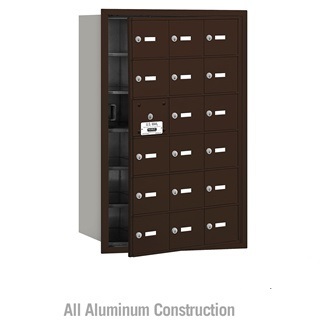 (NO UP CHARGE) Rear loading horizontal mailboxes do not require a door to be dedicated for master entry because access is achieved through the rear of the module. 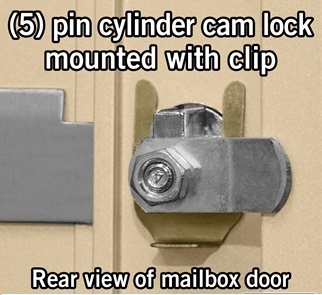 All openings are usable for rear loading horizontal mailboxes. Units include a removable rear cover.